POLLUTION levels are rising in the Lidder river in Pahalgam, the base camp for pilgrims going up to the Amarnath cave (3,952 m) in Jammu and Kashmir. An official report issued by the Jammu and Kashmir State Pollution Control Board (jkspcb) has raised concerns over the impact of pilgrimage on the local environment. According to the jkspcb report, besides other regulations, there needs to be a check on the inflow of pilgrims and their activities. 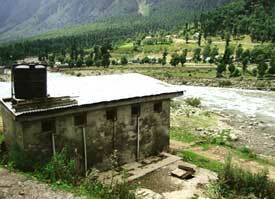  Strict laws to be enforced for prohibiting pilgrims to use the Lidder river bank for toilet purposes.